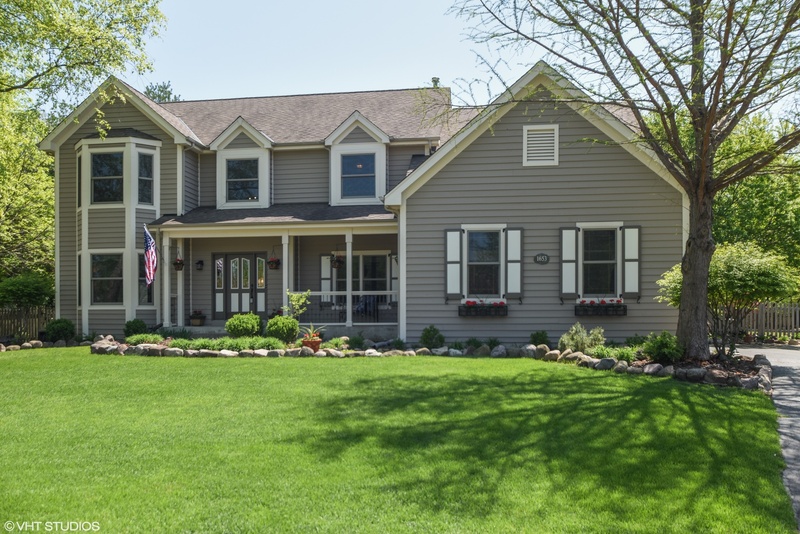 Incredible 4 bedroom, 3.5 bathroom Crystal Lake home with plenty of updates! Located in a quiet cul de sac with a backyard paradise! 20 x 40 foot in-ground, heated pool with electric cover and diving board, koi pond and professionally landscaped yard. Inside are 2 stairways, beautiful hardwood floors throughout the main and second floor. The gorgeous kitchen has large skylights granite counters, stainless steel appliances, a spacious island and room for a kitchen table. Off the kitchen, the fireplace creates a warm and inviting family room. Upstairs features a spacious loft and generously sized bedrooms with built-in closet organizers. The lovely master suite is complete with a vaulted ceiling, a bay window, and luxurious bathroom. The finished basement is an entertainers dream with a media area and dry bar. This house is a must see!